As one of London’s key commercial and employment centres, Hammersmith offers a large variety of residential property including: mansion blocks and terraces, many of which have now been converted into apartments, Victorian houses and large river fronted Georgian Houses. Hammersmith is a district in the west of London; it is bordered by Chiswick, Fulham, Kensington and Shepherds Bush. It forms part of the greater London borough of Hammersmith and Fulham and lies to the north of the river Thames. The name Hammersmith has various explanations including the village (‘ham’) or by the harbour (‘hythe’). First established as a small tranquil village, the main trade was basket making due to the many willow trees lining the river Thames. It slowly grew to a riverside suburb and then the introduction of railways in 1864 brought with it much house construction and industrial development to Hammersmith. 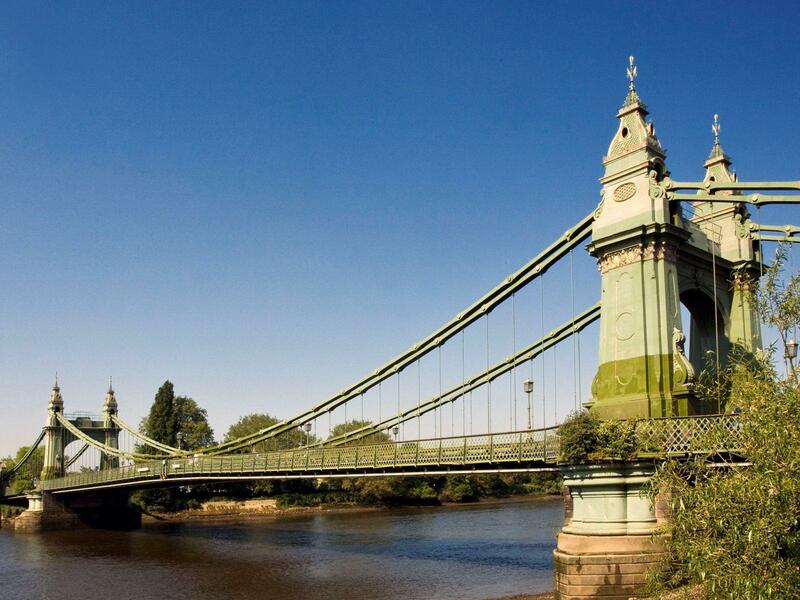 One of the main landmarks in Hammersmith, The Hammersmith Suspension Bridge was first built across the Thames in 1827, rebuilt in 1893 and has recently received major structural strengthening. Hammersmith offers lots to do including public parks, shops, bars and restaurants. It has a large shopping area, including Kings Street, an indoor shopping mall and the Broadway centre offering the usual high street stores. There are also many pubs and bars, including the famous River Café. If you prefer outdoor space Ravenscourt Park is the largest open area and contains a lake and pretty gardens, alternatively the Thames path runs through the area. Hammersmith offers a large variety of residential property including Georgian mansions, Victorian houses and new build property at Queens Wharf, a unique new development on the site of the former Riverside studios with an exceptional amount of river fronted apartments. Situated on the A4 trunk road, Hammersmith is easily accessible by train and car.